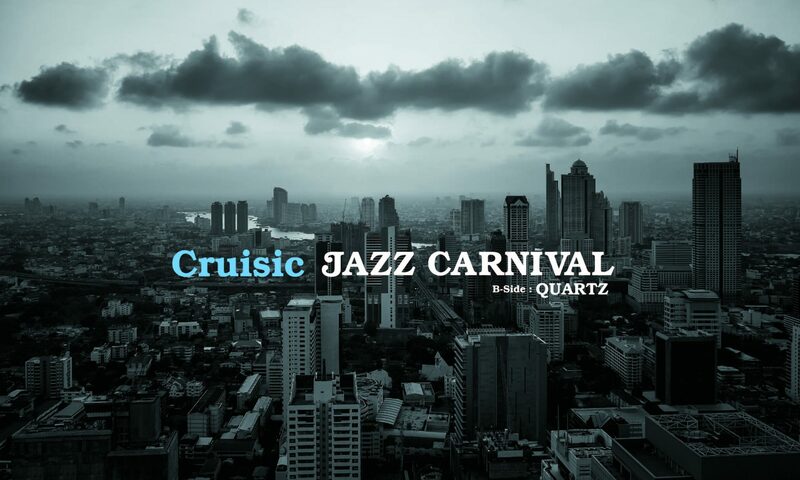 Cruisic is a Japanese electric/soul/latin/jazz music team which consists of two members, Yukinari Iwata on electronics and Ryusuke Kakizawa on drums and percussions. The twoe belonged to the same jazz circle during their school days, and after years of individual activities, they have formed Cruisic in 2013, Winter. With directly combining and linking Yukinari‘s broad range of electronic music background and Ryusuke‘s experiences in pops and jazz music fields, Cruisic pursues dance music which enhances and transforms its sounds dynamically in real time with pop music elements. As a member of a club oriented jazz unit FlatThree formed in 2003, Yukinari Iwata won through the Sony Webstar Audition. Starting with a remix album released from Flower Records in 2004, the group has released 2 original albums. The albums were well received domestically and overseas, Gilles Peterson added “Sesso Brillante” from their 1st album “Sky is the limit” to his playlist. As a DJ, Yukinari Iwata holds parties in Tokyo regularly, and has released 4 singles as a member of a house music production team SPECTA. He has established reputations for his production quality of remix, produce work, movie soundtrack and TV commercial field. In addition, he got and received the certificate from Berklee Music College as an Ableton Live Specialist. As a member of the critically acclaimed Japanese band Tornado Tatsumaki debuted in 2001, Ryusuke Kakizawa released four albums and toured nationwide with favorable reputations. After the hiatus of the band, he has been playing as a session drummer in numbers of recordings, live performances and jazz gigs. Besides drums, he controls latin/brazilian/indian percussions with his reliable technique, and pursues new sounds and beats restlessly and indefatigably.